Hello! Happy Sunday everyone! 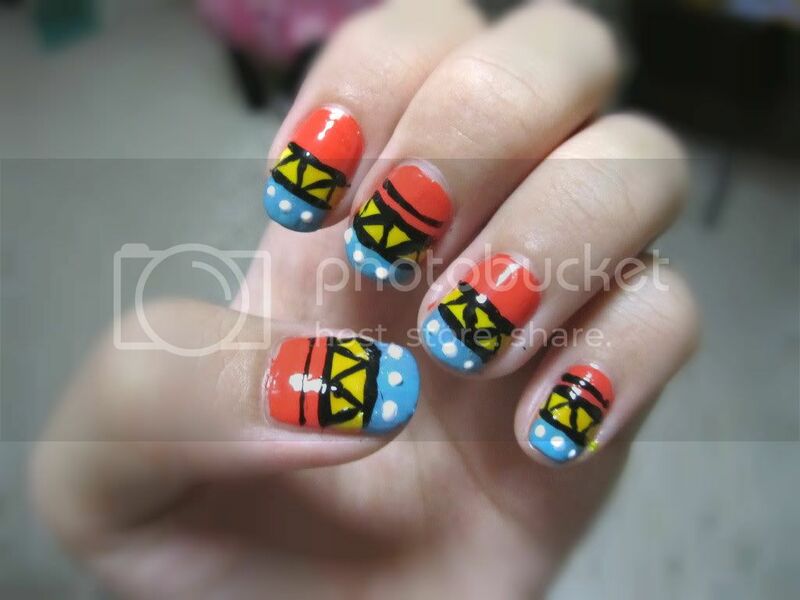 I'm so happy that I got a new set of pretty tribal nails! 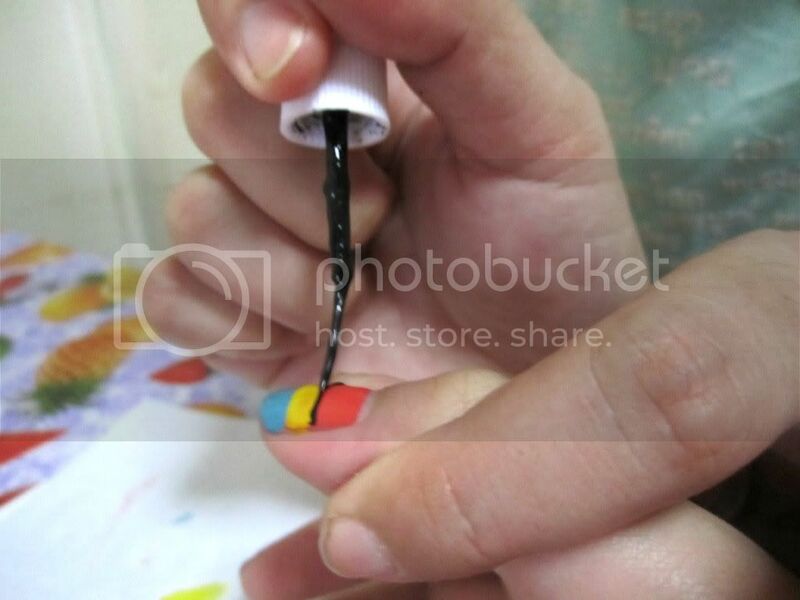 I swear my aunt is so talented, I just showed her a picture of the design that I want, and she just painted my nails. It's so colourful and vibrant now! I simply love it! 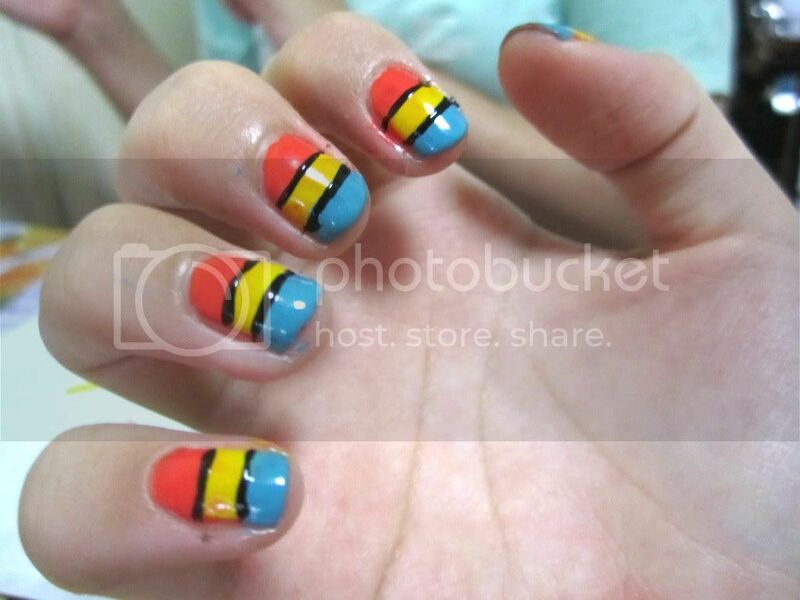 Oh and, my aunt does manicure and pedicure for outsiders too, at a cheap cheap price of $12 for mani and $15 for pedi. And guess what? It's flat rate of $12 & $15 respectively for any designs! 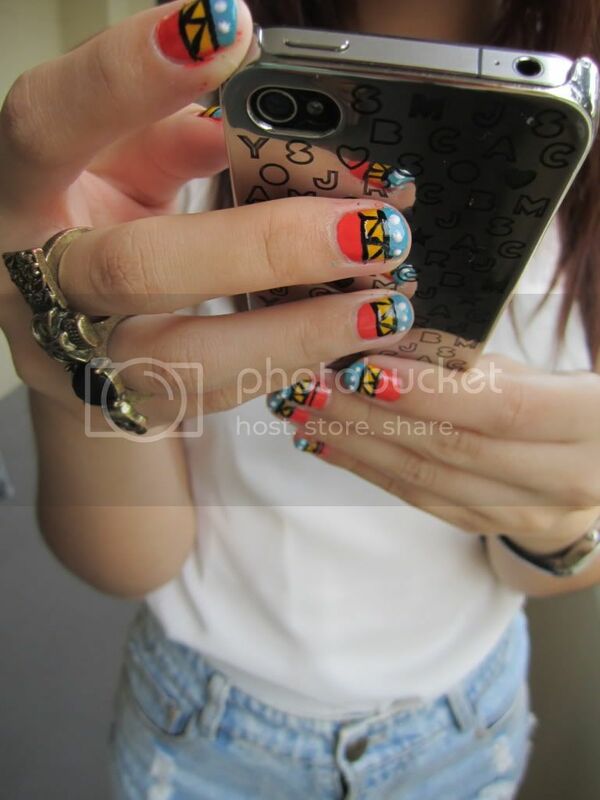 You can choose from the designs that she already drew, or just show her a design that you would like to have. She'll definitely try to come out with something similar. 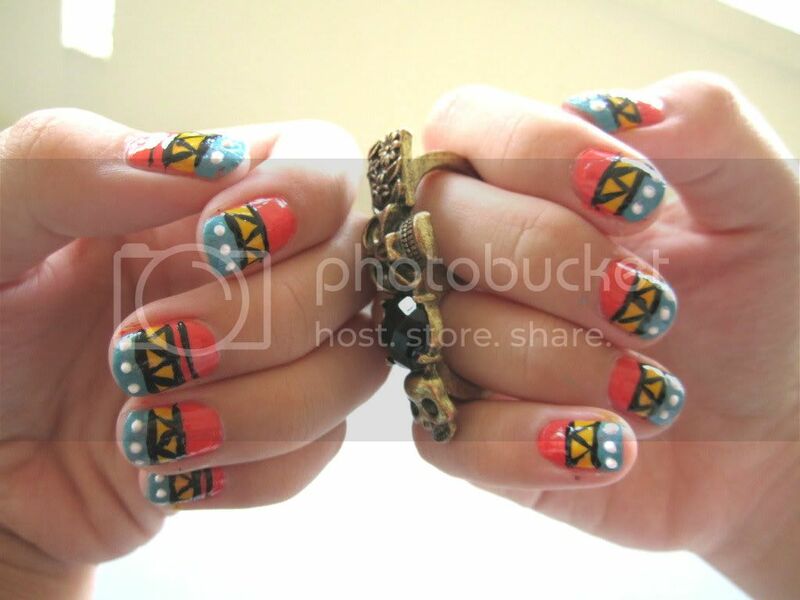 So alright, here are some pictures of the tribal nails that I have now! Geeez. The three colours that I chose. Orange, yellow & turquoise. My aunt doing what she loves. The end product! 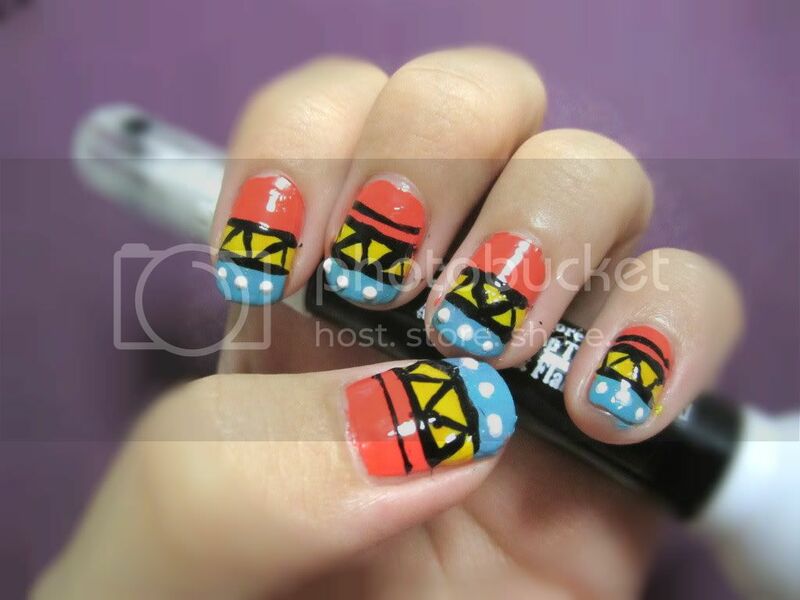 My tribal nails! I love it so much that I can't stop admiring it, so more pictures of my nails! Have a great week ahead lovelies!